DIVINE CHRISTIAN GIFTS - Luminous Guardian Angel Crib Medal with White Ribbon. 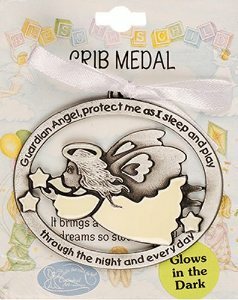 Luminous Guardian Angel Crib Medal with White Ribbon. Guardian Angel Protect Me As I sleep and Play.